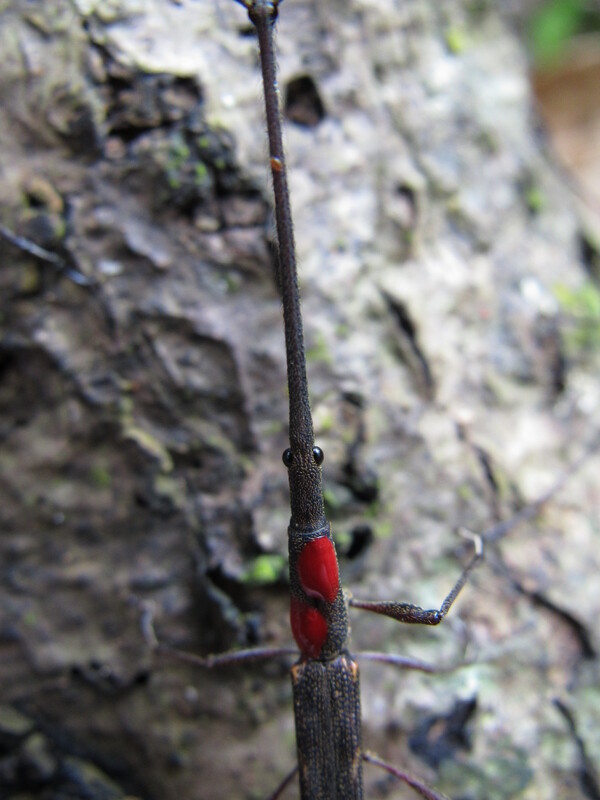 The world isn’t done hearing about giraffe weevils just yet! 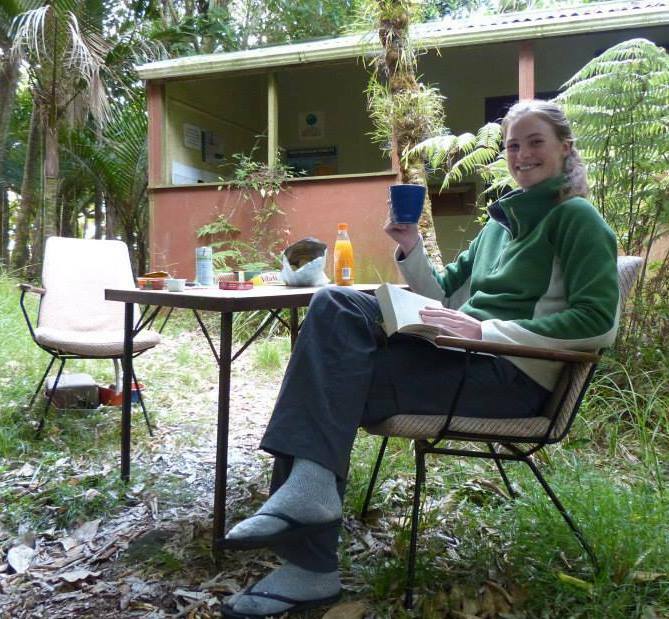 Rebecca Le Grice finished her Masters at the University of Auckland in February under supervision of Greg Holwell and myself looking at competitive assessment, lifetime mating success, mark-recapture and other fun things on giraffe weevils. Bex has just been awarded an A+ and 1st Class Honours for her work – this is very much deserved for all her hard work, both in the field and back in the office doing some pretty complicated analyses. Congrats Bex, looking forward to some great publications from your work. Singapore is a puzzling place to live. I am truly enjoying the diversity in culture, food and having the opportunity to do science in a new part of the world. But sometimes I feel like we are living in a bubble. Perhaps it is partly because it has been difficult to make friends here and so we spend a lot more time doing things as a couple than we might have at home. It could also be something to do with the constant temperature and humidity that never really waivers and makes me feel like I should be on holiday instead of going in to the office each day. Maybe too it is just that we haven’t been here long enough to feel like we belong and are still busy discovering new places to eat and explore without building much of a routine. A huge bonus about working as a behavioural ecologist in Singapore is getting to do your field research in neighbouring tropical places. 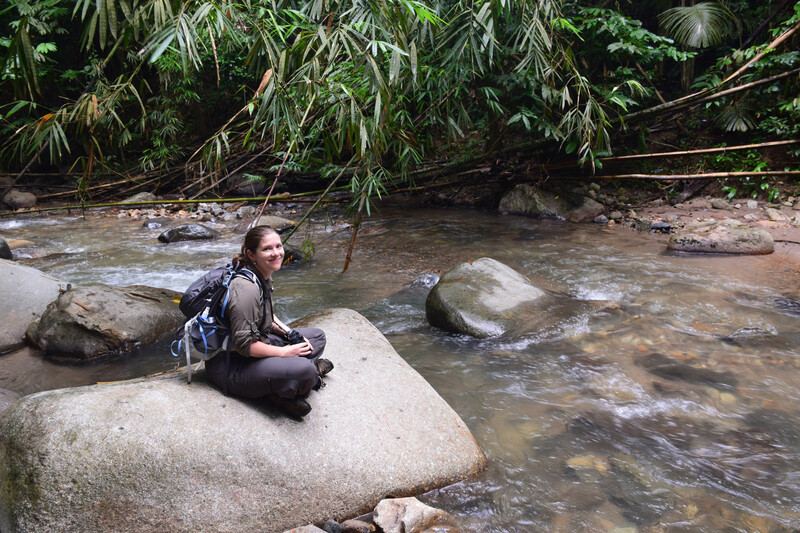 Our lab group recently took a road trip around Peninsula Malaysia in search of our various spidery study species, and Caleb got to come along as our trusty field assistant. We spent most of our time around the University of Malaya Gombak Field Station which is located in the foothills inland from Kuala Lumpur. Having breakfast on the deck over-looking the jungle is up there with my all-time favourite activities, especially when naughty long-tailed macaques spy at you from the trees. I’ve recently started a new project on a magnificent jumping spider, Orsima ichneumon. This species belongs to the same subfamily that our lab does most of its research on, and I couldn’t help but jump on it myself when I found out that very little is known about its biology. Look at those colours and the strange ant or wasp-like morphology! Unlike in temperate areas, finding enough study specimens in the tropics can be a bit tricky, where diversity is incredibly high but abundance of each species typically lower. However, we eventually found a great spot of weedy undergrowth and shouts a plenty of “got one!” rang out in chorus with the pleasant sound of bush whacking. 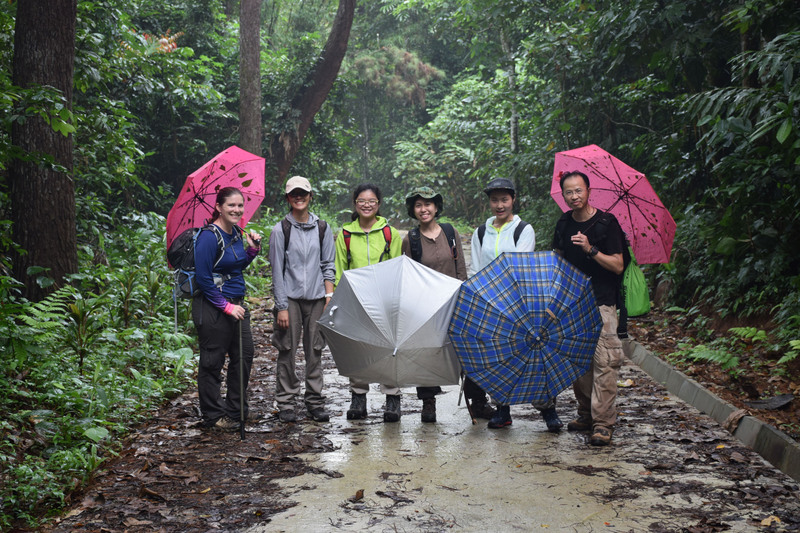 Here, my boss also introduced me to the use of an umbrella as a beat sheet (advocated by Joseph Koh in his book on Bornean spiders) – a rather genius invention for use in the wet tropics and can be very handy during sudden downpours! Until recently I wasn’t a big fan of beating as a collection method as I’ve always enjoyed the challenge of spotting things by eye. I’m converted now though and like a colleague recently said to me, it’s like discovering treasure when you peer into the umbrella. Not only did we discover many jumping spiders, but also lots of adorable beetles. In the evenings Caleb cracked out his macro photography set up and we catalogued the day’s findings. I should also mention that we spent a lot of time eating splendid Malaysian food. It’s hard to choose favourites but I have a new fondness for stinky petai beans and anything with copious amounts of sambal (chilli sauce). Also for anyone following Caleb’s adventures with satay, don’t worry – he got his fill of that sweet peanut sauce on chicken on our last night in Kuala Rompin. Overall it was a very successful trip. I can finally get some experiments underway back in the lab now and have returned feeling really refreshed after the break from city life. There may have been a lot of mosquitoes, leeches, spew-breaks and scratches (and even a mystery insect spray burn on my eyelid) but there is nothing like a good week in the bush to make you feel like we live on a pretty special planet.